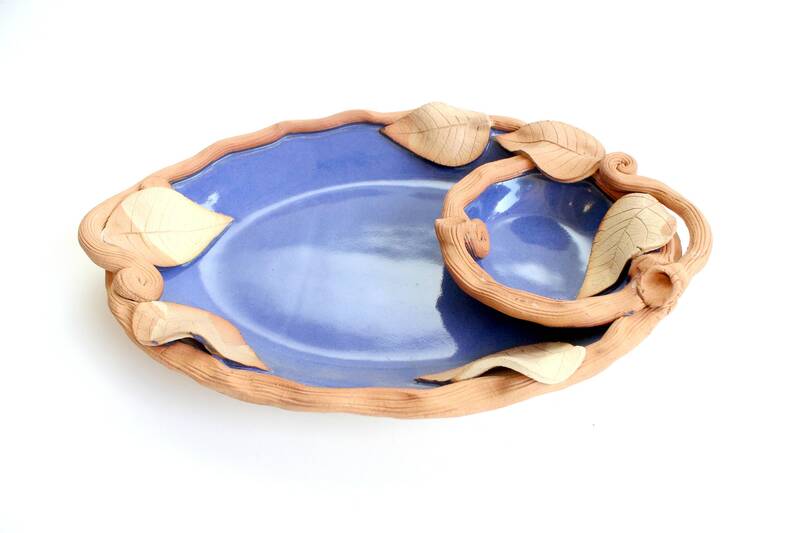 Beautiful handmade ceramic serving platter. 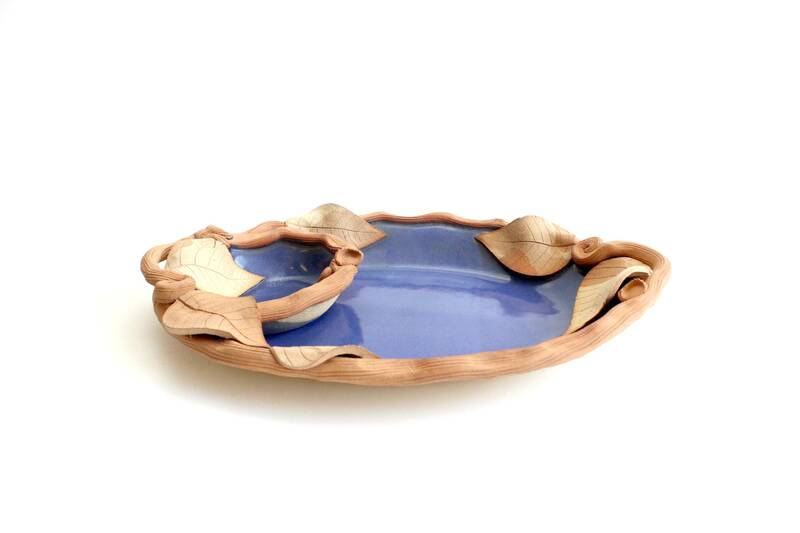 Very unique oval shaped platter with two sections. One section is larger than the other. 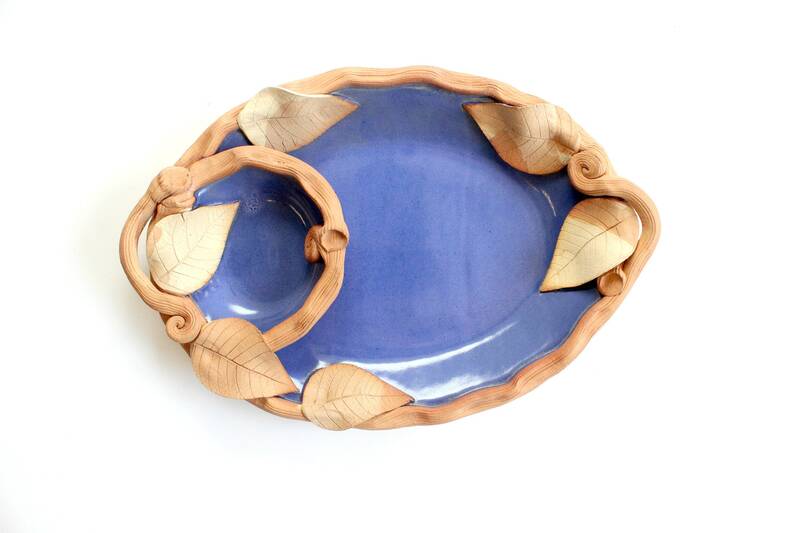 The center of the plate is glazed with a pretty shade of blue. 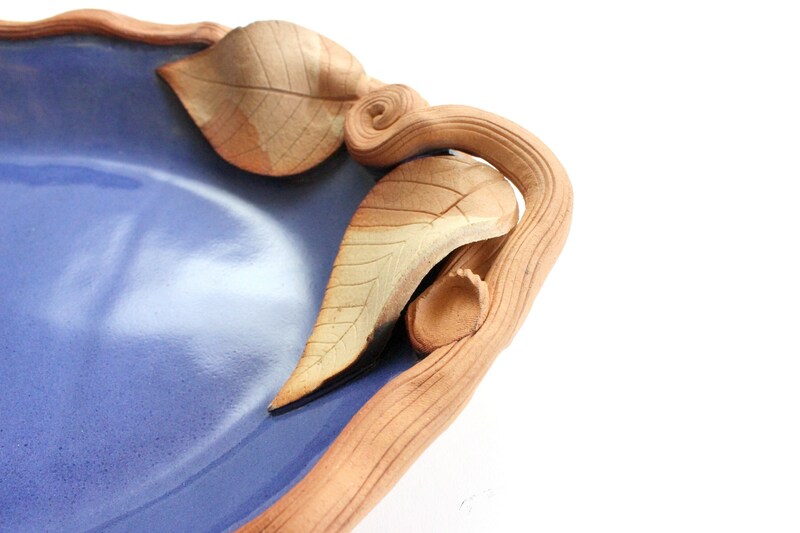 An unglazed clay twig and leaf design travels organically around the edges of the plate and separates the two sections. 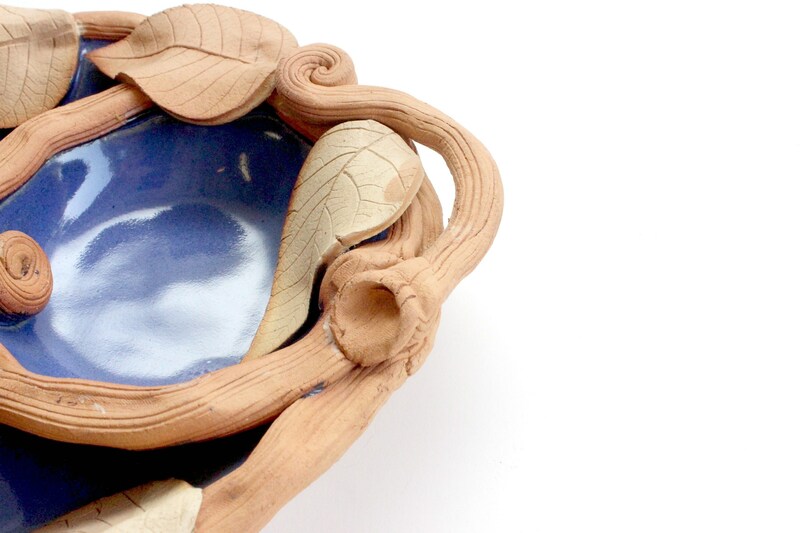 This design also incorporates two small handles on either end of the plate. 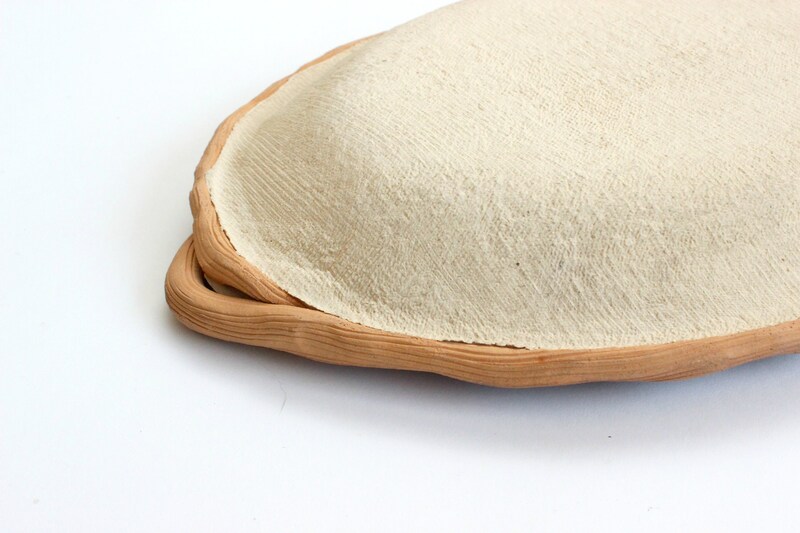 The combination of glazed and natural clay is lovely! Bottom is clean and unmarked. 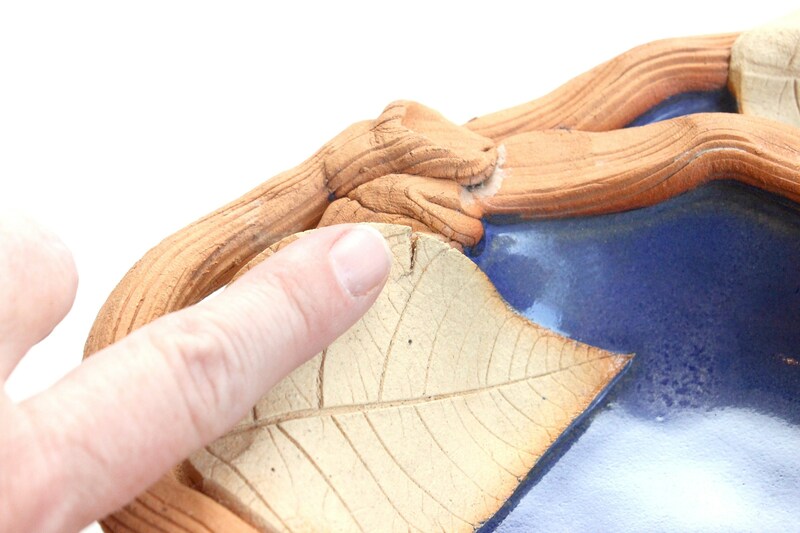 Makes a great serving platter during the fall season! Very good vintage/used condition. One small crack in one of the leaves. (See last photo.) This looks to be a natural imperfection that happened when the plate was originally made. A small amount of discoloration on the bottom. 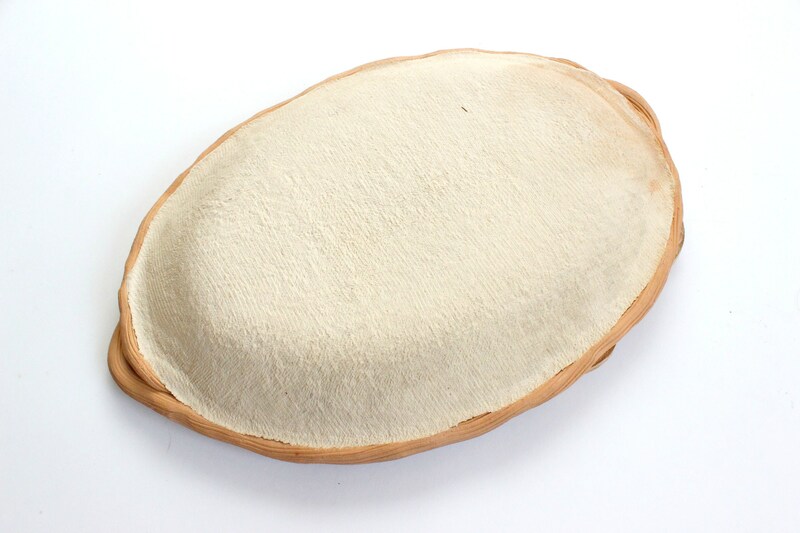 Measures 14 inches long, 9.75 inches wide and 1.75 inches tall.